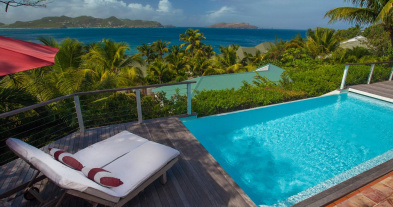 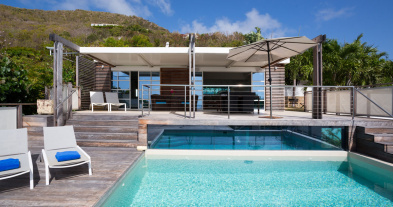 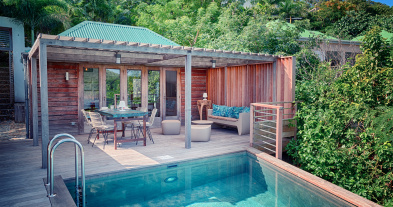 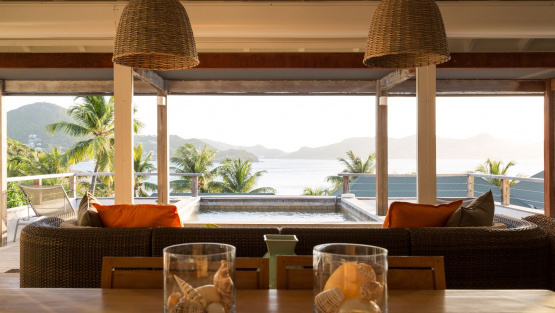 Truly inspired design and decor makes the Villa PHOENIX in St Barths an entirely unforgettable place to relax and refresh. 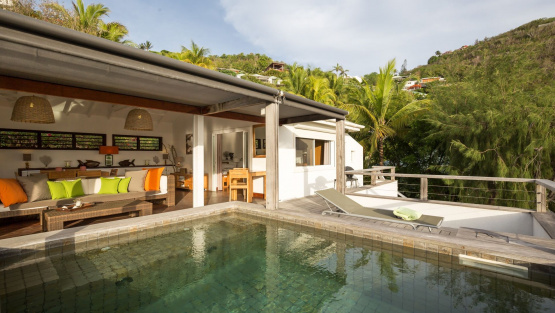 Tucked into a hill in the famous Pointe Milou area, it uses the setting as a perfect framework for an emphasis on natural materials. 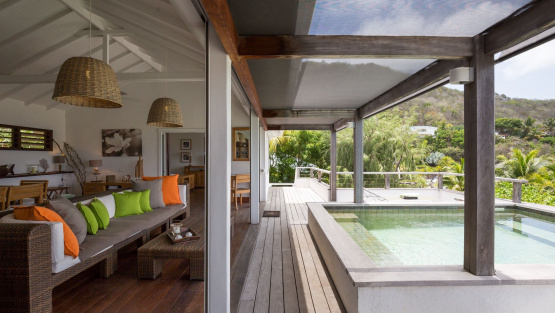 With stone and wood terraces and patios, this villa transports visitors to another world. 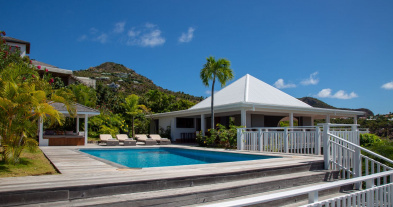 Villa PHOENIX is located in Pointe Milou facing the ocean and the beautiful sunset. 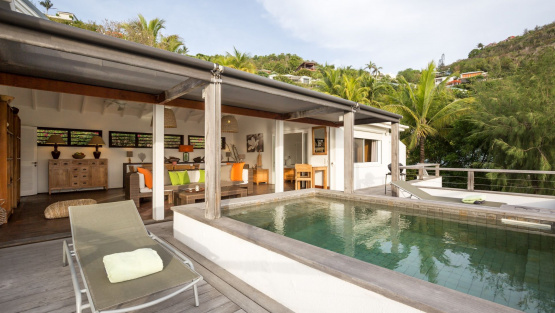 This two bedroom villa has a large living room that opens onto a terrace and a pool. 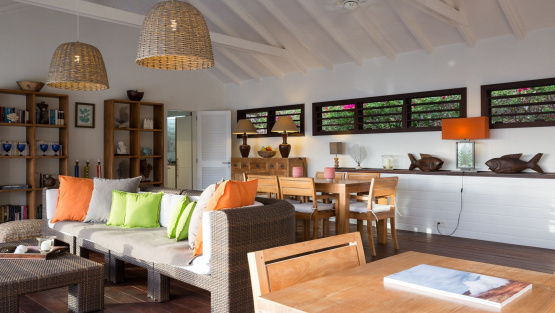 The living room offers a dining area with seating suitable for up to 6 guests. 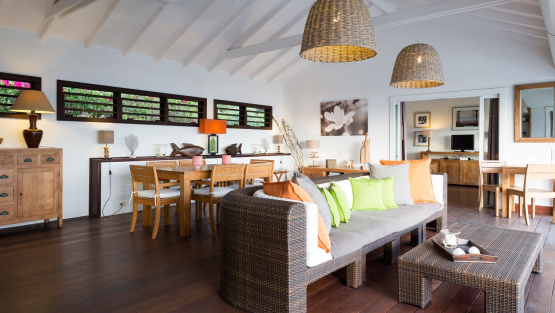 The wooden furniture mixes with green colors, creating a peaceful atmosphere. 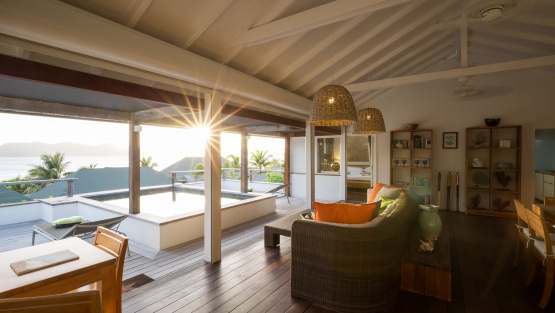 The living room opens to the pool, which is well exposed to sun and enjoys spectacular sunsets. 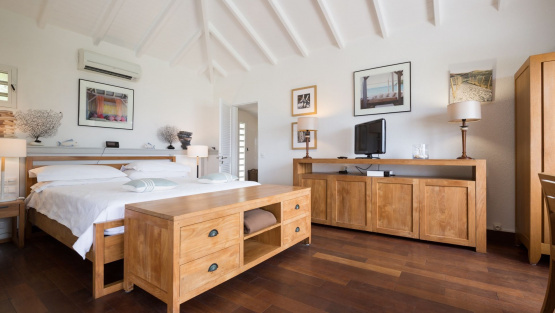 The two bedrooms are located on either side of the villa. 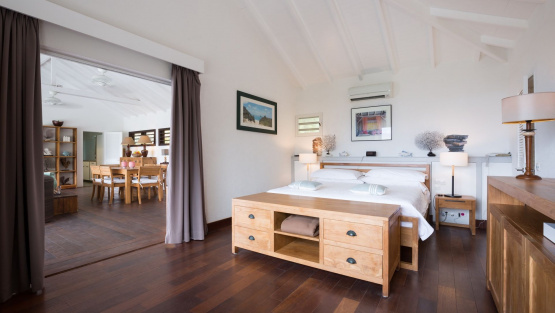 The master bedroom is elegantly decorated with contemporary furniture and off-white colors. 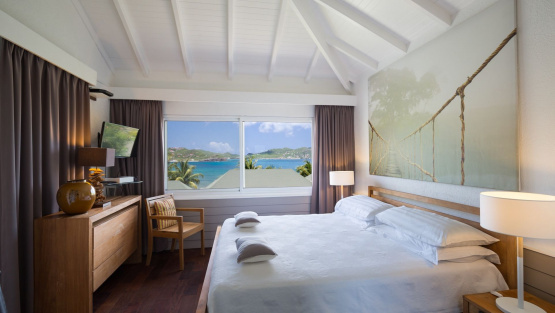 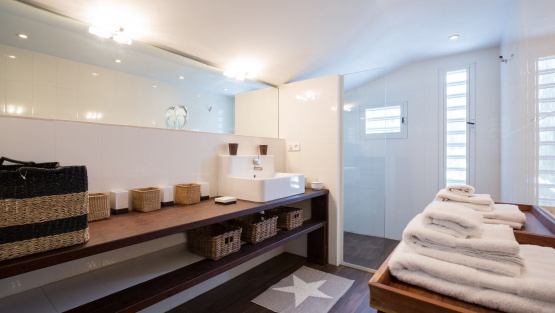 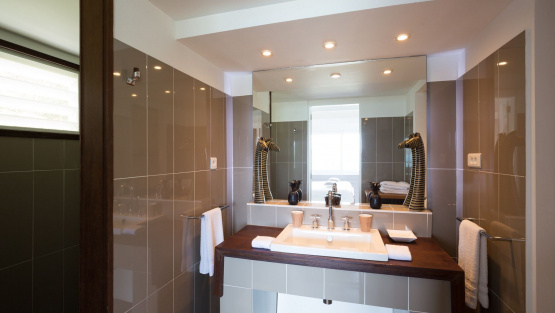 Each bedroom has a queen-size bed, ensuite bathroom with walk-in shower, and ocean view. 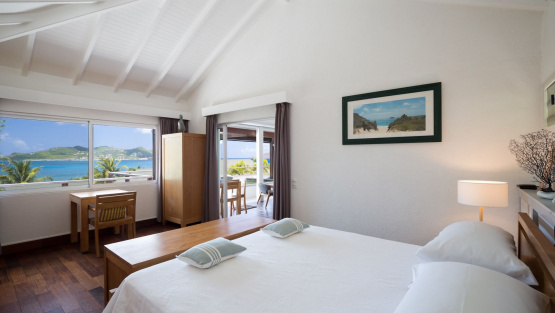 The house also has air-conditioning in all bedrooms, WiFi, and French satellite TV. 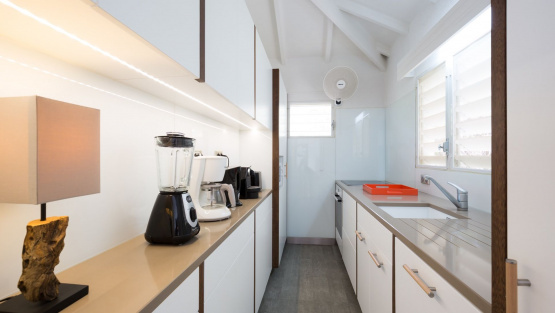 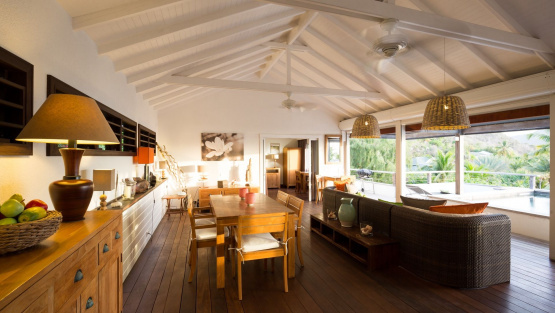 This Caribbean property is the perfect place for a relaxing retreat and suitable for young children.